A Gap year in Canada is a great way to get a glimpse into life on the mountain and even get a head start on a career in the snowboard industry. 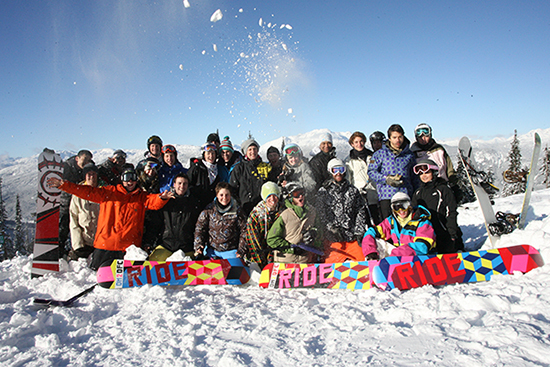 Pro Ride provides gap year snowboarding courses in Whistler for all ages whether it be a break from your professional job or career, a year between school and university or a change between jobs. What kind of Gap year Course Can I take at Pro Ride? Gap year programs start from 4 weeks all the way through to 12+ weeks in length for the full season long ride. At Pro Ride you have the opportunity to train and gain skills in either freeride, freestyle or certify yourself as a snowboard instructor. 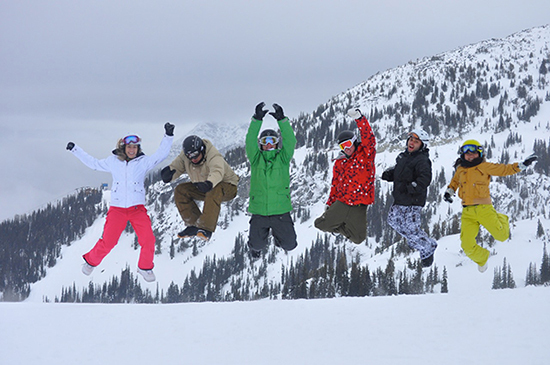 Our most popular program is a combination of all 3 areas for the ultimate gap year and snowboard season experience. A snowboarding gap year is a great way to take a break from the same daily routine whether it be school or work. It gives you the opportunity to make new lifelong friendships with people from all over the world. If you’re not sure what to do at the end of school and university or If you’re not sure what you want to do in the future why not try a gap year in Whistler. We’ve had campers of all ages and nationalities come train at our camp including: Canada, USA, UK, Australia, Mexico, Brazil, France, Germany, Russia, Denmark, Sweden, Hong Kong, Hungary, Iceland, and Slovakia just as a start. A snowboard gap year can help build self confidence and maturity. Our instructor’s course focuses on passing the instructors exam by building communication and leadership skills which can be used all the way through life. Campers will also gain a renewed confidence in their own riding skills that will last forever. A gap year can be a great addition to your resume by showing potential employers you have taken time out to broaden your horizons and learn some new skills. It can give your resume an edge and show you out among the crowd. A gap season is a great opportunity improve your snowboarding skills over a season rather than 1 week a year over 10 years. You can also train and take your instructors certification CASI (Canadian Association Snowboard Instructors) and turn snowboarding into a career path. We've had gappers become instructors all over the world.